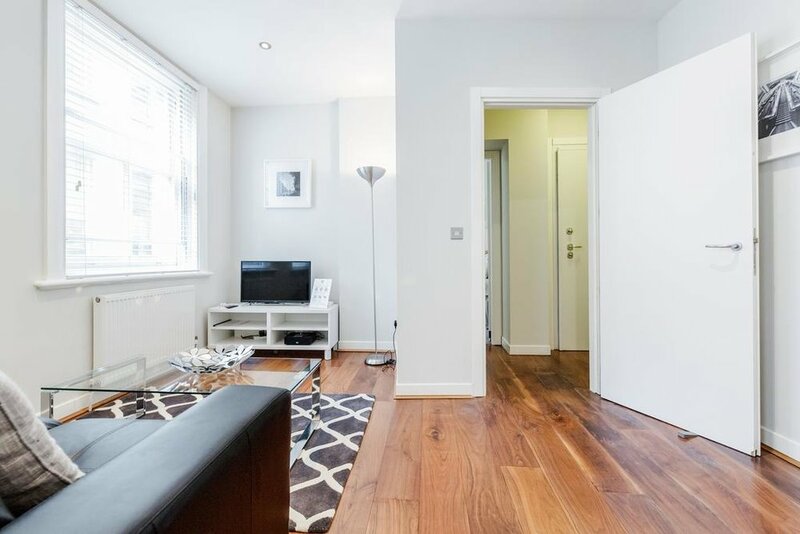 This property offers contemporary one bedroom apartments just 2 minutes walk from Chancery Lane Station serving the Central Line, giving easy access to wherever you wish to be in London. This super central location is a mere stones throw from Covent Garden full of restaurants, bars, cafes, museums and Covent Garden Market. The buzz of theater land is also close by with Leicester Square. You will find shops and restaurants right outside the apartments. Each newly developed apartment boasts wooden floors and a carpeted bedroom. There is a fully equipped kitchen with washer/dryer, dining space, living space with internet and TV, and video entry phone. Ideal for both those on business and leisure for stays over a week. Your Dyers Building apartment home is waiting.